ComfortFit Labs now offers a discounted custom orthotic ($30.00) for the non brace foot with all Richie Brace orders. The discounted orthotic price is $30.00 and is for one foot only. Write the discount code RB2050 to receive this special price. This code must be printed on your Richie Brace prescription form. Since the first Richie Brace in 1996, thousands of patients have been successfully treated with Richie Braces products designed by Dr. Douglas Richie. 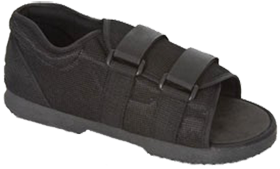 The Richie Brace remains the #1 brace reimbursable under the HCPCS code L1970 (molded flexible AFO). Turnaround time on Richie Brace products is approximately 14 business days or less with no charge for return shipping and FREE STS casting socks with each order (upon request). Contact us at 1-888-523-1600 with any questions. The complete line of Richie Brace products is on our website at www.comfortfitlabs.com. 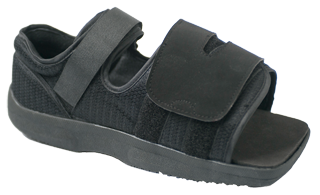 The discounted orthotic is priced at $30.00 each foot and will be shipped back to you along with your Richie Brace order. Prices do not apply to GraphLite or Basic Leather devices. The discounted price for GraphLite or Basic Leather orthotic devices is $35.00. Classic Leather devices are excluded from this discount.We require a cast for the foot orthotic.